Kurt Wassink joined our team in mid-November 2018. Kurt is a West Michigan native who graduated from Grand Valley State University with a B.A. and M.B.A. Prior to joining HR Solutions Group, Kurt celebrated 23 years of service with Gentex Corporation. During his time at Gentex, he served in a variety of roles, in which the last four years he served as the VP of Human Resources. We are excited for Kurt to bring global best practices and extensive HR knowledge to our valued clients. Kurt brings a wealth of experience on how to effectively build and scale a company through tremendous growth. As an HR Executive at the firm, he collaborates with companies as an Executive in Residence to walk along organizations and focus on the strategic priorities and people development. 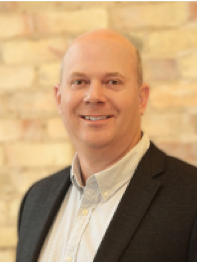 Kurt currently serves as a Board Member for the West Coast Chamber of Commerce and the Ottawa County Compensation Commission. He is also a current Executive Team Board Member at the Spectrum Health Zeeland Community Hospital and serves as a Hope College Center for Leadership Coach. Prior to these roles, he served as a Board Member for Good Samaritan Ministries, Calvary Church and Workplace Chaplaincy, and was the past Chair of the West Coast Chamber of Commerce and the Ottawa County Compensation Commission. HR Solutions Group offers the full range of HR department services, including an Executive in Residence partnership for companies with existing HR teams that can benefit from an on-going relationship focused on organizational strategic growth and development. We bring experts to the table to help organizations achieve their goals and provide an exceptional employment experience. Visit our website for more information at www.thehrsolutionsgroup.com. 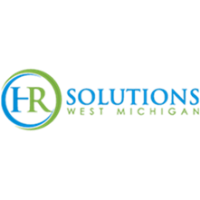 If you would like more information about HR Solutions Group and our services, please contact Amy Kraal at 616-719-5372 or email at amyk@thehrsolutionsgroup.com.